The on-going disagreement between the National and International Co-Investigating Judges at the Extraordinary Chambers in the Courts of Cambodia (ECCC) over the appointment of Judge Laurent Kasper-Ansermet has increasingly become a concern. 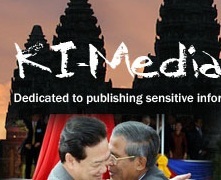 Related to this matter, we believe the intervention by the Supreme Council of the Magistracy of the Kingdom of Cambodia (SCM) over the appointment of Judge Kasper-Ansermet ultimately violates the agreement between the Cambodian government and the United Nations which is stipulated both under the Cambodian and the ECCC’s law. 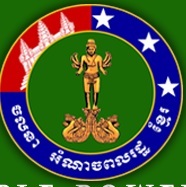 The Cambodian Human Rights Action Committee (CHRAC)—a coalition of 23 NGO members—urges the Cambodian government to fulfill its obligation to fair and independent judicial proceedings at the ECCC by appointing a Co-Investigating Judge at the ECCC immediately. Moreover, the United Nations (UN) and donors to the ECCC must uphold the ECCC’s reputation to conduct fair and independent trial by conducting an independent inquiry with regard to the conduct by the Co-Investigating Judges. Without such an inquiry, the legacy of this tribunal will be seriously damaged. According to the ECCC’s Law, Reserve Judges may be called upon in the event of an emergency and the immediate necessary replacement of the former Judge. Thus, a “Reserve Judge” is already appointed when made to fill the position of a reserve. In accordance with Articles 25 and 26 of the ECCC Law, the foreign Reserve Co-Investigating Judge was already appointed in an official manner. According to Article 27 (3) of the ECCC Law, he – by law – replaces the former Co-Investigating Judge and is obligated to fulfill his duties. Not only is another formal appointment unnecessary from our viewpoint, but the process has been continuously delayed for months. While some observers may argue that an appointment is necessary, it is merely a formality within the process. To deviate from such interpretation is to only allow for risking the independence of the ECCC’s proceedings. Second, the National and International Co-Investigating Judges must work together in professional harmony, holding respect for judicial independence and rule of law. This is a matter of grave importance, as aging Civil Parties are tired of the constant delays with regard to the pending Cases 003 and 004. Independent inquiries into the handling of Cases 003 and 004 must be conducted and it is the UN’s role to exert pressure on the Cambodian government regarding any allegations of political interference. The UN should fulfill its involvement in a more proactive manner; otherwise risk its own reputation in ensuring judicial independence and rule of law. Third, the current system of the SCM must undertake a judicial reform process. The Ministry of Justice should not be involved with the decisions of the SCM, and transparency within the process is an obligation that should be fulfilled. With this reform, we urge that the pending draft of the Amendment of the Law on the Organization and Functioning of the SCM shall be immediately amended to guarantee the effective functioning and full independence of the judiciary in Cambodia. Moreover, given the involvement of the national Co-Investigating Judge in the decision of the SCM, we urge the national Judge to step down from the SCM as there is an obvious conflict of interest from holding two roles, which prevent him from exercising his duties at the ECCC independently. We therefore urge the Cambodian Government and the UN equally to fulfill their duties regarding the ECCC in accordance with the spirit of the Agreement. Civil society demands that justice be ensured through an independent judiciary and believes that the delay in regard to Cases 003 and 004 must be addressed immediately.